Today, Caspa is viewed globally as one of the key players in the most explosively exciting genre of youth music to emerge in recent years. If you don't know Caspa you don't know bass. With an epic list of tour dates taking him to every corner of the globe he still finds time to run 3 labels and produce dancefloor bomb after dancefloor bomb. His remix skills have seen him working closely with the very finest talents in electronic dance music, remixing the likes of Deadmau5, Miike Snow, Swedish House Mafia, Depeche Mode, Kid Sister, Katy B and Buraka Som Sistema to name just a few. He's come a long way since he and Rusko mixed the 37th instalment of the legendary FabricLive series; the first commercially available dubstep compilation and a pivotal moment in dubstep history. Growing up in West London on a diet of Jungle and Hip Hop, Caspa started DJ'ing and experimenting with beats after a promising basketball career was cut short by injury. In 2003, under the pseudonym Quiet Storm, the track 'Bass Bins' was picked up by BBC 1xtra's J Da Flex and things started to snowball. Founding his own label Storming Productions in 2004, Caspa also began a weekly radio show on the iconic Rinse FM. Signing up and working with the likes of Search & Destroy, Dubchild, Toasty Boy, DJ Narrows and Oris Jay the label soon became established as one of the dominating underground labels of the time. After receiving a demo from Swedish producers L-Wiz, a thoroughly impressed Caspa decided to start a sister label 'Dub Police'; its aim to focus entirely on exciting new artists and provide a platform to the new and quickly emerging genre Dubstep. With a string of successful releases from artists such as L-Wiz, N-Type, Rusko, The Others and of course his own productions under the Caspa alias, the label began to grow in to one of the trail blazing labels of the emergent genre. Meanwhile Caspa was also having success on other labels with releases like 'Rubber Chicken' which was snapped up by Tempa and soon became an underground anthem. Amidst the ever growing hype, Caspa and fellow label artist Rusko were approached by Fabric to mix the 37th instalment of the legendary FabricLive series. Following on from such legends as John Peel and Fabio & Grooverider, this was the first commercially available dubstep compilation and played a significant part in bringing the genre into the limelight and introducing it to many new listeners worldwide. His anthemic remix of TC's 'Where's My Money' pushed things even further and his mix on Deadmau5 and Kaskade 'I Remember' further still. 2009 saw Caspa take things to the next level with a series of high profile gigs & festival performances from Glastonbury and Global Gathering to sharing the main stage with Lily Allen and The Arctic Monkey's at Serbia's Exit Festival. 2009 also saw the release of the acclaimed album 'Everybody's Talking, Nobody's Listening'. Not content with rounding up the year with an epic US Tour, his huge remix of Hard by Breakage feat Newham Generals became Zane Lowe's hottest record in the world at Radio One and was almost immediately followed by his mix of Adam F and Horx featuring Redman 'Shut the Lights Off' – which on it's debut play was also crowned with the same honour. The touring continued with a host of major festival dates in summer 2010 including hitting the main stage at Sonar just before the Chemical Brothers headline set and rocking Bestival, Global Gathering, SW4 and more in the U.K. On top of this, Caspa then played dates at Hardfest and the legendary Lollapalooza in the U.S. and that's not to mention dates in Ibiza, Germany, Australia/New Zealand and even India! The first few months of 2011 were on studio lockdown and summer festival bookings included Glastonbury, Global Gathering and Creamfields in the UK, Primavera and Monegros festivals in Spain and B'estfest in Romania. 2011 ended for Caspa with Stereosonic in Australia and a massive US tour. On top of working on his artist album, 2011 saw Caspa remixing the likes of Katy B's 'Easy Please Me' and Buraka Som Sistema's 'Hangover', tracks which dominated the airwaves and clubs alike. On the release front 2011 brought you 'Neck Snappah', 'Fulham 2 Waterloo' and the his 'Not For The Playlist EP' (which includes 'Sir rock Alot', 'Champion Skank', 'It Is What It Is' and 'Hot Shoe Shuffle'). There's now a free Caspa app available for iPhone too. 2012 saw the incendiary first single from Caspa's forthcoming artist album 'Alpha Omega' smashing up festival mosh pits and club soundsystems in multiple continents. 'War' featuring Keith Flint from The Prodigy is brave, bold and loud. It doesn't sound like other dubstep records and that's absolutely by design. Caspa isn't like other dubstep DJ/producers. On the release front, 2012 also brought you "On It" featuring Atlanta based rap group Mighty High Coup, a track also heavily supported by the key taste makers at Radio 1. The summer saw Caspa hitting the European festival circuit once again which was followed with a major US tour (bringing 70,000 watts of PK Soundsystem to venues including Webster Hall, Avalon and Orange Peel) and Australian festival dates. After shows in Tokyo, Hong Kong, Bangkok, Shanghai and Singapore, Caspa ended the year supporting The Prodigy at all 3 of their Warriors Brixton shows. 2013 saw more releases including "Setting Sun" and "Mad Man" ft. Riko and the release of Caspa's artist album 'Alpha Omega' in April. The Dub Police compilation 'Past Present Future' was released in November to critical acclaim. Add to that a heavy touring schedule including an Australia and USA Alpha Omega tour and many major festivals and shows around the world plus support slots on The Prodigy's Warriors Dance December dates and it becomes clear that 2013 was another huge year for Caspa. 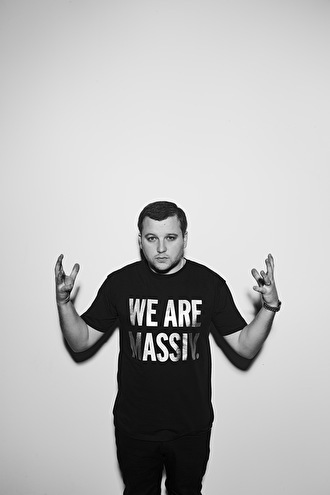 This year will see the release of the next instalment of Caspa's Dubstep Sessions compilation on Newstate along with a string of other releases including "Reach for The Sky". There are also more tours scheduled throughout the year. Caspa presenteert Dubstep Sessions 2014. Dubstep? Dubstep is toch dood? Nee hoor. Verre van. Een nieuwe dubstep mix gemaakt door grootmeester Caspa. Met 'Dubstep Sessions 2012' brengt dubstep veteraan Caspa ons een pompende mix vol dubstep en bass music, welke op uitstekende wijze Caspa zijn stijl vertegenwoordigt. This man is a DubKing! Heb zn hele discography, hebben? Is wel lekker voor de rustigere steps! !